We all know the wisdom of insuring the things that we value – our possessions, our health, our livelihood and even our lives. No one wants to be in a situation where they need to make a claim but of course the unexpected will happen from time to time. This is why it is so important to be properly covered and to have access to experts who will make the claim as painless for you as possible. But who amongst us is an expert in the field of insurance? Of course the major insurer’s will advocate themselves as the best, offering you the most exclusive cover for the cheapest price, but we are somewhat at their mercy. Policies are full of ‘jargon’ that most Australian’s aren’t going to understand. Who really understands or even reads some of the finer points listed under ‘terms and conditions’ or ‘benefits and exclusions’? Not to mention that we mostly make the decision based purely on the lowest price without understanding what we’re not covered for. Sadly, there are too many heart breaking stories of people, families and businesses that are not adequately insured and claims being denied due to exclusions that we’re not aware of. We live in an increasingly complex world where few things are simple. In much the same way that you might seek the advice of an accountant to guide you through complicated financial affairs or a solicitor for buying / selling a house; an insurance broker will guide you through the best possible choices for your individual insurance needs. Insurance brokers are specialists and know the insurance business back to front. They can determine the best policy based on the individual circumstances and can interpret the small print that most of us overlook. Insurance brokers, such as Insurance Brokers Australia are professionals in their field. They work for you, the client and not for individual insurance companies. You can expect them to act in your best interests to offer expert, unbiased advice in order to find the best possible insurance deal to cover your unique needs. The broker’s tailored advice will ensure you receive a policy that properly protects you and will guide you through the claims procedure should the worst happen, acting as your advocate. It is not uncommon for a broker to object on your behalf to a negative claim and with a significant client base, will often be able to better negotiate a positive outcome. Australia has a wealth of highly professional insurance brokers, who rely on their reputations and strive to create consumer confidence. Some, such as Insurance Brokers Australia, are also members of the Steadfast Insurance Brokers Group, the largest general insurance network in Australia and New Zealand. Steadfast Group’s strength and scale means they can negotiate exclusive policies, bringing you the best in class coverage, competitive pricing and superior policy support services. These best of breed policies demonstrate an unrivalled relationship with some of the world’s leading names in insurance, providing highly competitive policies. Whilst these services are invaluable, many people often think that using a broker would be more expensive than going directly to an insurance company but this is commonly not the case. The price provided by a broker is generally the same price or cheaper, because of their knowledge and ability to negotiate a more competitive premium. They often only pass on the fees they incur, with their earnings based on commissions from the insurance companies. You would be surprised at what a broker could offer you, not to mention the experience and service they add. Whether you are an individual or a business owner, you will need the best and most cost-effective policy for your unique needs and an insurance broker could be the very person to help you obtain the peace of mind you deserve. It might just be the soundest decision you have made in a long time. 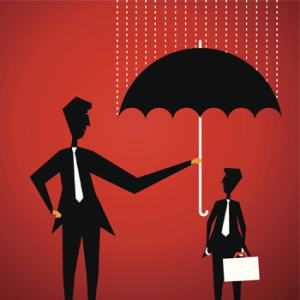 Why use an insurance broker to purchase your business insurance? Important disclaimer – Insurance Brokers Australia ABN 58 123 301 806. The views expressed are those of the author only and do not necessarily reflect those of Insurance Brokers Australia.This article provides information rather than financial product or other advice. The content of this article, including any information contained on it, has been prepared without taking into account your objectives, financial situation or needs. You should consider the appropriateness of the information, taking these matters into account, before you act on any information. In particular, you should review the product disclosure statement for any product that the information relates to it before acquiring the product. Information is current as at the date articles are written as specified within them but is subject to change. Insurance Brokers Australia make no representation as to the accuracy or completeness of the information. All information is subject to copyright and may not be reproduced without the prior written consent of Insurance Brokers Australia.